Welcome to Stop C-9 in the Winter Planning Getaway! I'm so excited to be a part of this group! First, allow me to introduce myself to all the new visitors. My name is Erin, and I teach middle school English Language Arts and Social Studies. I'm from suburban Illinois, but I spent the past year teaching at in inner-city charter school in Louisiana, which has given me a whole new perspective on education. On my blog, I like to share stories from my classroom, lesson plans, classroom management tips, classroom setup and organization, and book recommendations along with stories from my personal life, just so we can all remember that we're real people behind these computers! My Teachers Pay Teachers site is relatively new and evolving. I've just posted my first bundle product, a 40-page novel study for A Christmas Carol, one of my favorite novels to teach. This product includes all of the activities I use to supplement the book during a a 3-4 week unit. That's right, you guys, your entire December could be completely planned with this one packet. 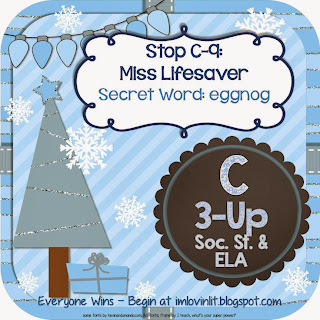 And it just so happens to be ON SALE NOW for the TPT Cyber Monday & Tuesday Event! Just use the code CYBER to get 28% off! In fact, you get a little preview of this unit in this Giveaway, my Characterization Guide, which I sell separately on TPT as well. This activity will lead your students through the 6 methods of Characterization (WALTER - Words, Actions, Looks, Thoughts, Emotions, and Reactions) as they read the story. 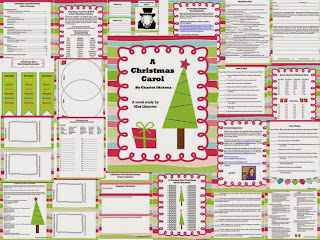 Using the Five Faces of Scrooge packet, students will learn how to identify text quotes and and analyze each method in this Common Core-Aligned graphic organizer. 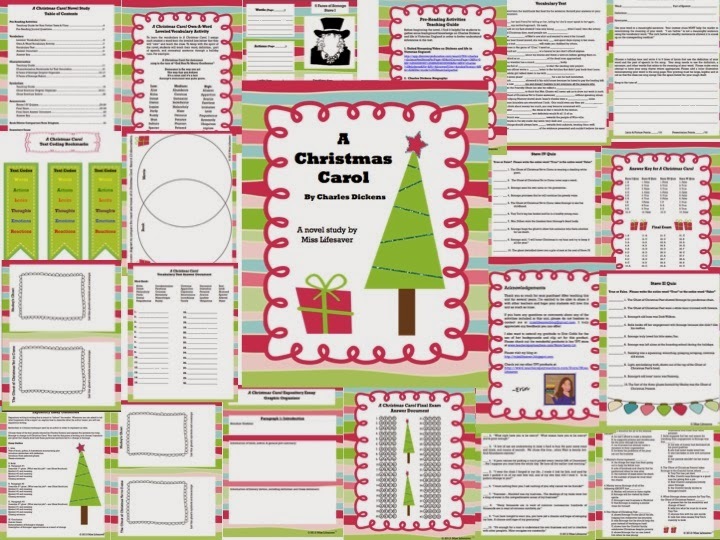 Each page of the packet should be completed for each Stave of the story, making a perfect side-by-side comparison for your students to provide evidence of how Scrooge changes throughout the story. By the way, thank you contributing to this giveaway. I found your studying tips resource just in time for review week and it has really helped my class organize their study sessions. Thank you so much for that and for everything you do!! Sounds like a great product! Thank you! 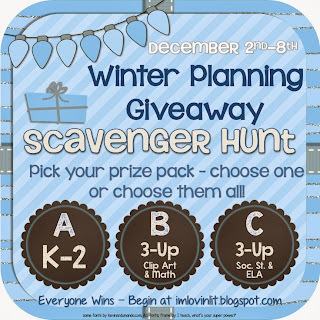 Isn't this scavenger hunt so much fun??!! Happy Sunday! I'm your newest follower! Thanks for being part of this wonderful giveaway!